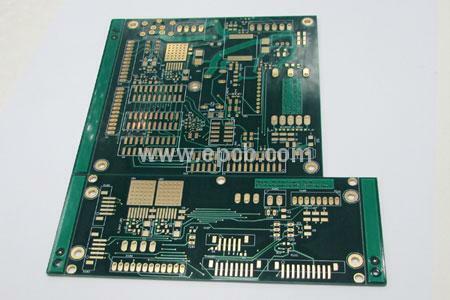 When designing the PCB board, it is common to meet some challenges and make some errors. In this article, we list some frequent errors you should avoid in your next design. Error 5: Low power consumption chip is not considered. Remark: It is difficult to make sure the accurate power consumption of a simple chip, because it is mainly determined by the current on the pin. For example, the power consumption of an ABT16244 without any load is less than 1 mA, however, each foot is designed to bear 60 mA load, which means its full power consumption is up to 60 * 16 = 960mA. Error 6: Memory only uses two signals -- OE and WE. Remark: The power consumption of most memory is 100+ times more effective in the valid chip selection than that in the invalid chip selection condition. So CS is recommended to control the chip, and shorten the width of the chip select pulse as much as possible when meeting other requirements. Error 7: As long as the match is good, you can eliminate all overshoot. Remark: Except a few specific signals, others all have overshoots. If the overshoot is not very large, match is not necessary. The output impedance of the general signal is different at high output level and low output level, and there is no way to achieve perfect match. Thus, the match for signal TTL, LVDS, 422, etc. just requires accepting overshoots. Error 8: The decrease of power consumption is related to the hardware, not the software. Remark: On the bus access, almost each chip’s access and each signal’s flip are controlled by the software. If the software can reduce the access number to the external memory, timely response to interruptions and other specific measures for specific board, it can make a great contribution to reduce the power consumption.